Nowadays blogging turned out to be an extremely popular thing that attracts more and more attention every single day. The Internet is overloaded with various blogs regarding various topics like fashion, cooking, entertainment, business and so on and so forth. Why not try and create your own online-project and share your thoughts on multiple aspects of life on the web? share your knowledge together with experience and educate others. 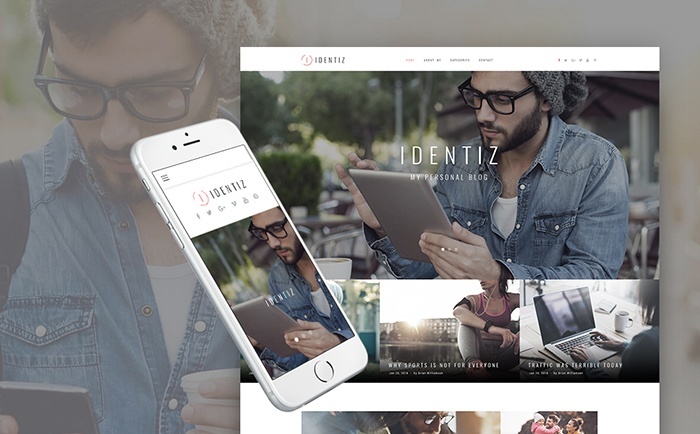 A stunning theme with all essential visualization and functional tricks to help you present your lifestyle and identity on the web. A wonderful website slider will help you to brighten up your personal page regarding various aspects of your life. Moreover, a vast number of custom widgets will provide you with a few extra ways of presenting content. 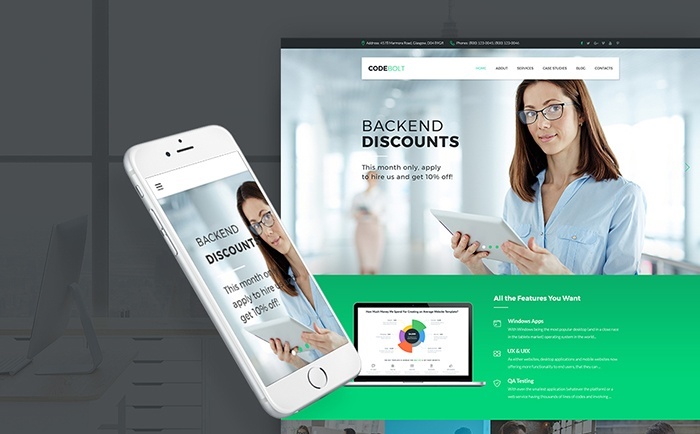 CodeBolt is a powerful and feature-rich software company WordPress theme integrated with the intuitive drag-and-drop Power page builder. 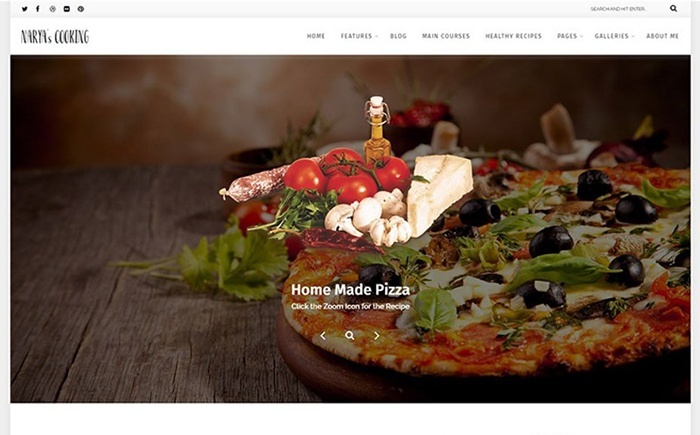 This is a Cherry Framework 5 based WordPress theme for programming blog, personal or corporate websites. The theme is Ecwid-ready, which allows you to build a fully-fledged web store on its basis. An admirable template that will let everyone be aware of your thoughts and daily stuff. With the help of the alluring gallery, you can present your attention-getting images without any hassle. In addition to this, a huge collection of Google Fonts will make it possible to freshen up the appearance of your website. A minimalist theme designed in the mixture of soft colors and tender imagery. A marvelous WordPress Live Customizer will assist you in playing around with your content. Furthermore, multiple social options will allow your readers to share the most well-favored posts from your blog with their friends. 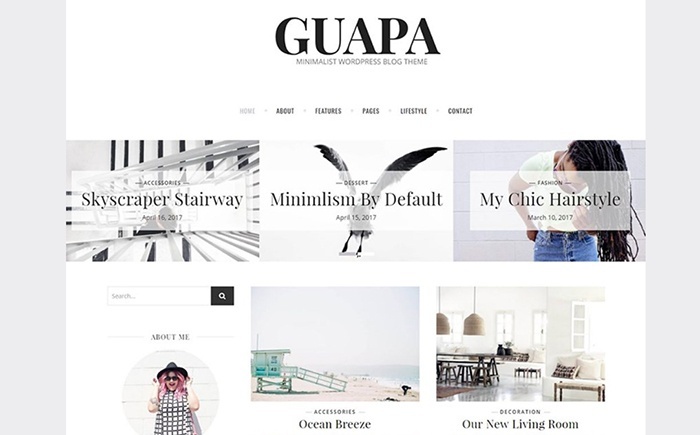 Do you know that Guapa translates from Spanish like gorgeous and beautiful? Obviously, this template will certainly impress your target audience with its unusual and stunning design. In addition to this, you can easily display your Instagram photos using a fully-functional showcase bar. 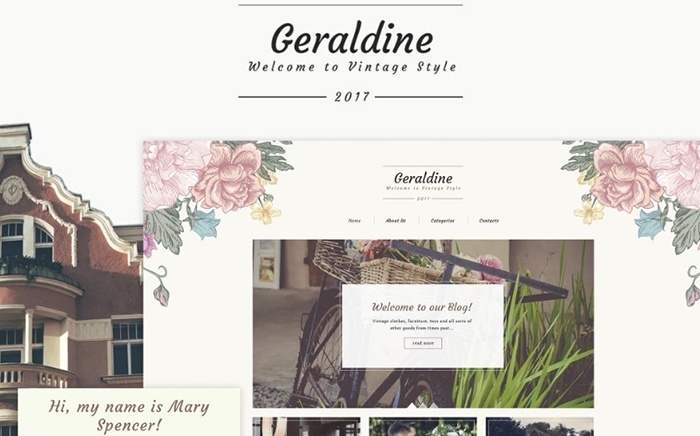 If you’re in love with a vintage style, you should certainly set your eyes on this splendid template. With the help of its retro design made in the palette of tender colors, you will capture the attention of various users. In order to make you feel relaxed during customization, this template includes a robust WordPress Live Customizer. 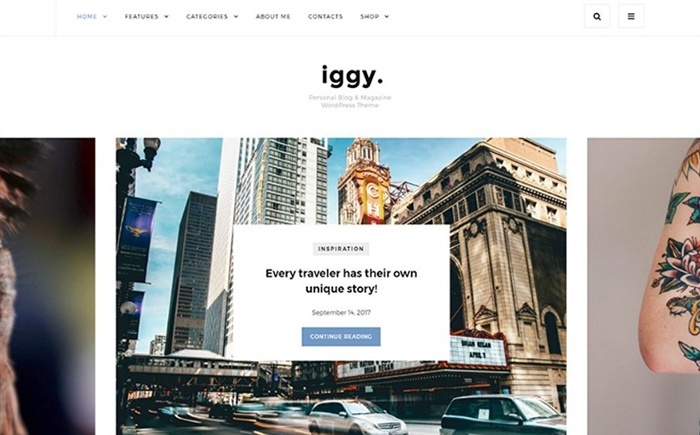 Iggy is a superb template that will allow you to create a tailor-made appearance of your future blog. 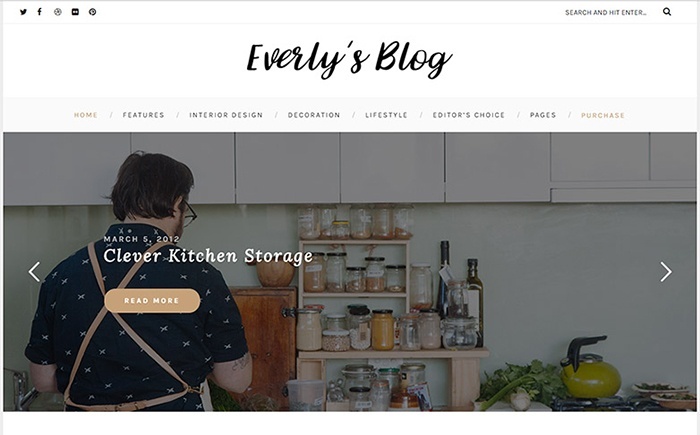 A sticky navigation and sidebar will make it easier for readers to surf through your website. In addition to this, various post types will help you to include videos, audios, and pictures in your articles. 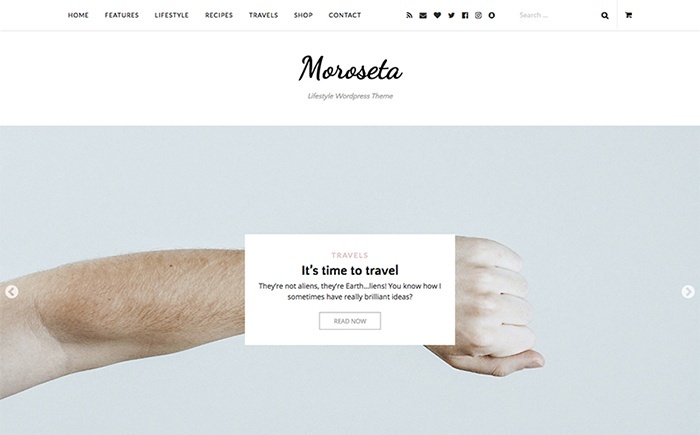 Moroseta is an extraordinary theme that comes alongside with all necessary features to build a trend-perfect blog. A vast number of widgets will allow you to freshen up the functionality of your website. A whole array of page layouts will make it possible to experiment with its look without any difficulties. If you adore a minimalist approach to web-design that turns websites into tender ones, just take a look at this template. 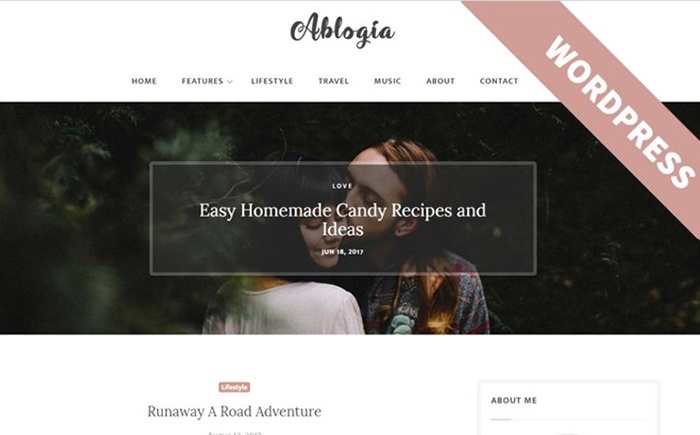 With the help of hundreds of Google Fonts, you can make your blog even more remarkable and exquisite. Furthermore, a great contact form will allow your readers to write some feedback on your posts and communicate with their lovable blogger. A delicious template that is considered to be a perfect fit for tasty food blogs. A wide variety of post types will help you to present your recipes in the best possible light. 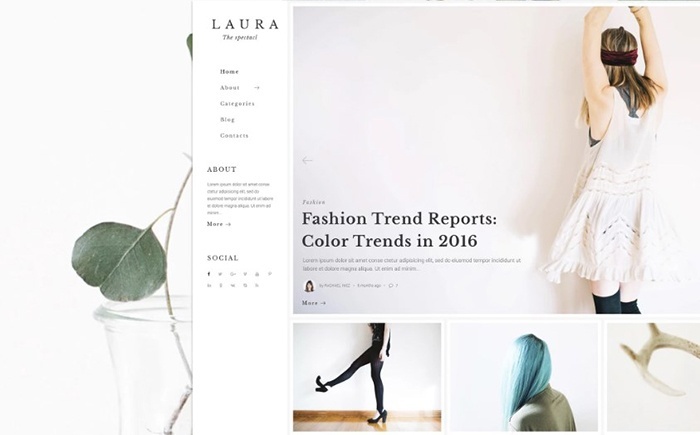 Moreover, a countless number of color options will certainly allow you to deliver the concept of your blog. All things considered, we would like to say that blogging hides a plenty of various benefits. You don’t need to spend a plenty of time on building your blog – just download one of these admirable themes and start writing about your daily experience right now. We wish you good luck with your blog and thanks for reading!